Our economy version of the Taylor Percussion Hammer is intended to elicit patellar reflexes as well as myotatic reflexes. 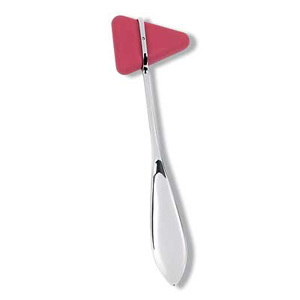 The tapered handle tip is designed to elicit plantar reflexes. Features a PVC bumper and a 7.5" chrome plated hanlde. Available in burnt orange color only.